I asked that question years ago when, from bootstrap, I developed and managed Hill-PCI Group’s Social Media Community on top of my other responsibilities, not to mention learning the nuances of each social media platform. I have only a few hours in the day to manage their social media accounts. Therefore, I had to maximize my time efficiently and effectively. Does that sound like your story too? I know that there are others out there, who at one time or another asked that same question, so instead of sharing my “lessons learned” I decided to post a question on Facebook and Google+. What you will find below are timeless tips from Social Businesses on how they manage the social media platforms for their company. 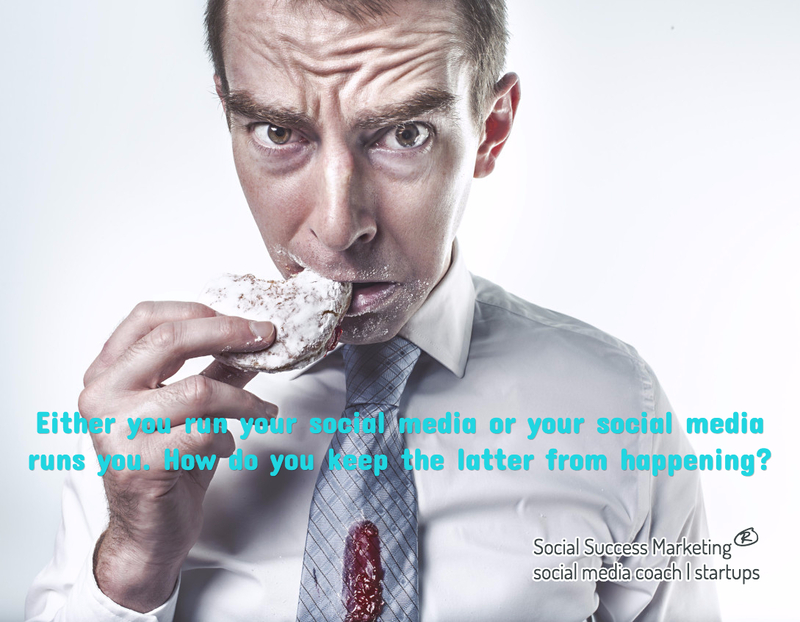 Question: Either you run your social media or your social media runs you. How do you keep the latter from happening? Sell Lead Succeed by Tim Mushey: Be disciplined. Do some every day, but don’t let it consume you. Katrina Crane Independent Stylist: I have a timer by my computer just in case I get ‘lost’ in the social media moment and forget to leave the party. Balboa Capital: Map out a strategy for each social application in terms of how many posts/tweets/, etc. you will do on a daily basis, and make sure you use an all-inclusive online tool to send your messages to multiple apps with one click. And, always respond promptly when friends/followers engage with you :)and techniques, which may be overkill for some. First off, it’s easy to get stuck in the computer seen thinking of things to say, or what to do, so you need to put a limit on the time you spend. I use a Google Chrome extension called “Task Timer” and I put an hour on the clock and spend a 10 – 15 min. on Facebook, Twitter, Google+, and LinkedIn – plus about 15 min. to gather some interesting things to schedule throughout the day. Tool wise I use Hootsuite for scheduling Google+ posts or sending out bulk tweets, and I use SproutSocial for Facebook and Twitter. If you are managing multiple accounts, these tools are great. Not really needed if you are on a solo mission, but they do have their perks. John Danes: Apps, thank God for them. And sometimes you just have to unplug and walk away from it. Get your sanity, Social Media will be there when you get back! Use social media apps or tools. A few of the favorites are Buffer, Hootsuite, and Tweetdeck. Create a strategy. Map it out. Get a flip calendar, or here we go again, get an app. Use a Timer. I still do that. I use my iPhone app for that. How do you manage your social media community? Your turn!